By Laurent Richard, World Climate Ambassador and Director of Albedo Climat. French version here. 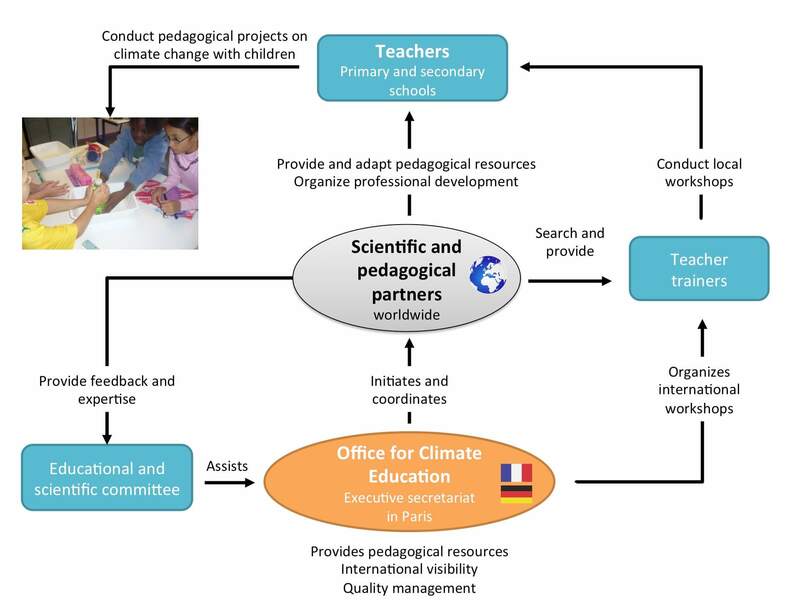 On March 16th, the Office for Climate Education, OCE was officially launched in France with the main objectives of training and providing climate education resources to teachers of students aged 9-15 years. Climate Interactive tools are part of this effort. 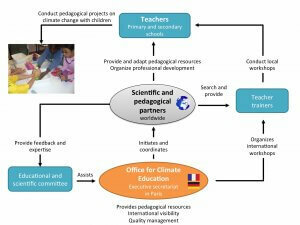 The organisation will be dedicated to developing pedagogical resources on climate change. The idea came from scientists at the French Academy. At first the aim was to teach young students about science and its processes thanks to inquiry based education. A foundation, La Main à la Pâte was created by some academics for that purpose and it is now leading this project to create an organisation specialised in climate change education. The Office for Climate Education has already received some very positive feedback. More than 25 Science Academies are interested in the project. It is, as Pierre Léna, member of the French Academy, mentioned, the first time in the history of the International Academy Network that there is so much interest in a project. Prepare concrete transposition in their class. As one of the World Climate Ambassadors in Europe, I was invited in September 2017 to the first seminar to contribute towards the thoughts around the necessity, the objectives, and the functioning of such a centre. I had the opportunity to facilitate a World Climate simulation with the participants who were a mix of climate scientists and professional educators. Indeed, the seminar was also a way to exchange on the best pedagogical practices that should be included in the OCE resources. People from Chile, Ireland, California, Sénégal, and international non-profits shared their experiences and projects on climate education. As a result, World Climate was listed as important resource to be included in this project. Indeed, the momentum on climate change education is here and that is a very good news. Fundamentally, people agree there is a need to help teachers around the world simplify climate science for the learners to understand and participate in addressing the climate challenge. Read more about OCE in the news and watch out for their website to be launched this summer.